Health Insurance Claim Denied? Here’s 5 Reasons Why. Dealing with a major illness is enough stress as it is. There’s no reason any one should add to your burdens, but sometimes insurance companies can make it downright difficult in helping you get the resolution you need by denying your claim and leaving you with a large medical bill on your hands. However, it’s still very important that you understand the reason for the denial so that you can take the necessary steps to appeal the decision. While there is always the slim chance that the denial was simply an insurance company error, the likelihood is far greater that you were denied coverage for a number of reasons – especially if this was your first submission. The attorneys at Millin & Millin PLLC want you to know that you do have the legal right to appeal the insurer’s decision, as well as request the support of an experienced and dedicated legal team that knows how to deal with bad faith insurance practices. What is important to know about the appeals process is that action must be taken immediately as there is usually a time limit set in place by the insurer – usually about 30 to 40 days after a denial. Make sure that you ask for a written denial from the company (via certified mail) that explains to you the denial details so that you can make an informed decision on what action to take next. It’s also vital to go into this situation well versed, so we offer you 5 reasons why your insurance company might have denied your claim. One of the typical reasons for having your claim denied is for receiving services outside of your plan’s provider network. If you received elective or nonemergency care from a provider that was outside of your health maintenance organization (HMO) or exclusive provider organization (EPO), then this means you obtained care from a party that was not in agreement with your insurance company’s terms of payment. In this situation, your health plan may deny the entire claim and make the payment your sole responsibility, or it may require of you to pay a bigger portion of the costs. Contact your insurer to find out more about your HMO’s network of healthcare providers. Another highly possible reason for the claim denial was that the procedure you received simply was not covered by your insurance policy. It’s going to be your responsibility as the policyholder to know exactly what is and what is not covered in your plan. While it can be easy to make assumptions about certain routine procedures, always double check with the terms of your policy to ensure that the specific treatment you are seeking will be covered by your insurance. If you know that you’ll need a certain form of health care that is currently omitted from your plan, then make the decision to shop for a new policy that will provide you what you need. Mistakes happen, and hopefully, it was simply an accident in the billing department of your local clinic that caused the mishap. While it can be frustrating to have to deal with these minor inconveniences that turn into seemingly big problems, billing issues can be quickly handled. Something as simple as your provider having outdated insurance information on file can lead to a denial. Issues can also arise from having two policies, such as having coverage through own employer and your spouse’s. If you can’t figure out exactly what the issue is, then have a talk with your doctor’s billing department and try to find out if they accidently coded your claim improperly or excluded some vital information. Your doctor’s billing department can make mistakes and so can your insurance company. Transcription errors on reports developed by the insurance company can mean denial. A misspelled name. An incorrect birthday. Incorrect procedure codes that are age appropriate can make the claim invalid. Minor data entry errors can definitely snowball into something bigger, but all you have to do is call the patient customer service representative to help get the data problem fixed. Certain procedures will require preauthorization, which is initiated by a doctor’s request on your behalf. Depending on the given situation, the procedure may be denied by the specialist provider if there is no preauthorization, or you may have the procedure done but the claim is denied afterwards. If the latter should take place, then ask your doctor to contact your insurance company and explain to them that a referral/preauthorization did occur. This is essential because if the insurance carrier does not have the valid referral number, the claim with be denied until the referral is provided. After making timely payments on your premium, it can be a shocking discovery to find out that your health insurance claim has been denied. Sadly, insurance companies aren’t always looking out for your best interest, and that’s why you’ll want a legal team that will. The Millin & Millin PLLC attorneys are fully aware of the dubious nature of insurance companies and so we strive to provide clients with the most reliable legal consultation to help ensure that you get the rightful benefits you are owed. 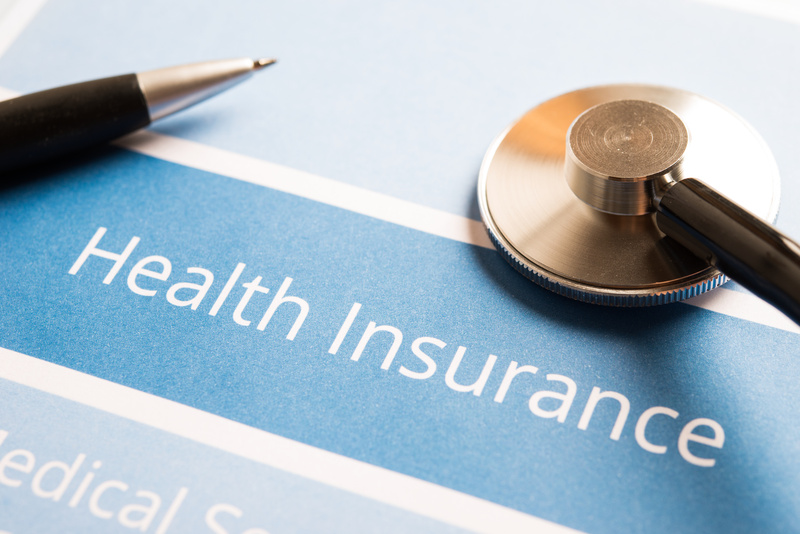 While it’s important to anticipate some of the common causes of rejected health insurance, if your insurer continues to practice bad faith, then give the Millin & Millin team a call at (956) 631-5600 and we’ll make sure you don’t have to deal with their tactics again.